The Pacsafe Venturesafe X40 Backpack is an impressive large volume backpack that's ready for almost any of your adventures. It comes with a durable, water-resistant exterior, structured back panel & an adjustable waist & chest straps. This pack is great for travel & outdoors, or for your day-to-day use if you need some extra space. It is capable of holding a 15" laptop. Along with all these features, it also has anti-theft zipper clips and clasps. The Pacsafe Venturesafe X40 Backpack - Black has many exciting features for users of all types. 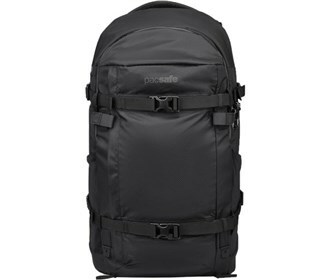 See the Pacsafe Venturesafe X40 Backpack - Black gallery images above for more product views. 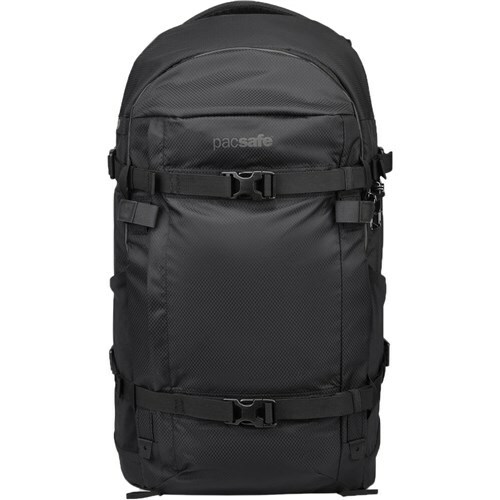 The Pacsafe Venturesafe X40 Backpack - Black is sold as a Brand New Unopened Item.